Within the field of solid-state materials chemistry, one of the major challenges is balancing theory with experiments. Theory can make predictions and offer explanations for a material’s property, while experimental evidence offers verification, as well as new avenues for research. 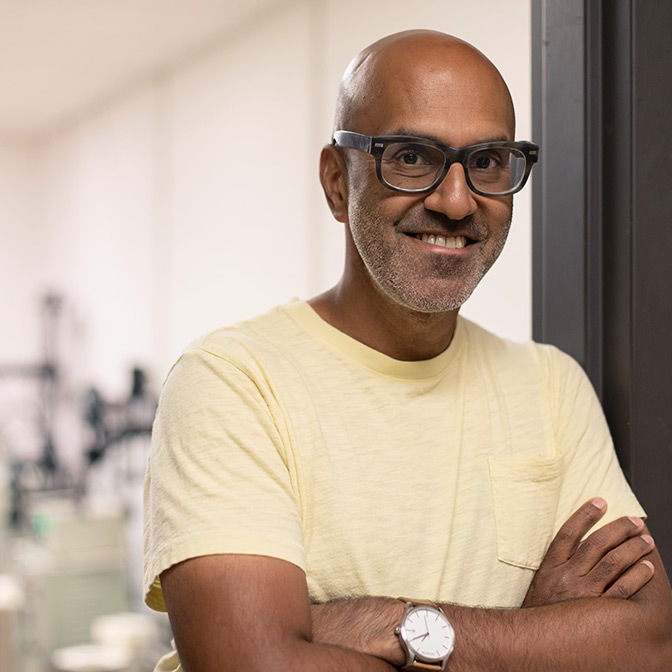 In a recent commentary for Nature Communications, University of Houston professor of chemistry P. Shiv Halasyamani weighed in on the balance between theory and experimentation for the development of materials for creating solid-state lasers. Included as co-author was Halasyamani’s long-running collaborator, Northwestern University professor James Rondinelli. Within Halasyamani’s field, which is synthesizing materials for use in ultraviolet and deep-ultraviolet solid-state lasers, there are two major goals. The first goal is to create a better replacement for current solid-state lasers at 266 nm, which is in the ultraviolet region. Currently, there are two options on the market, both of which were discovered in the 1990s. Although these options are reliable, and used in commercial applications, they have limitations. A second goal is designing materials to use for a solid-state laser in the deep-ultraviolet region, for which there are currently no options. Commercially, there are deep-ultraviolet excimer lasers, which are used to etch computer chips and to perform laser eye surgery (Lasik). However, excimer lasers can be large, sometimes the size of an entire room, and require very specific operating conditions. “Solid-state lasers are just easier to use,” Halasyamani said. Making this a reality is challenging. In addition to these materials needing specific optical qualities, they must also be capable of being grown as large crystals. Figuring out how to grow crystals is a long and inexact process, and there are very few crystal-growth labs in the country. This is where theory and experimentation come into play, with the collaboration between Halasyamani and Rondinelli serving as an example. “This has been a really productive collaboration,” Halasyamani said. Recently, one of their papers was selected to be part of the “Best of Advanced Optical Materials 2017” issue. As a theorist, Rondinelli is known for developing an algorithm that can predict a structure’s acentricity, which is a property essential for crystals which can be used in solid-state lasers. Meanwhile, Halasyamani’s research group specializes in synthesizing materials and growing crystals.